Do you live music and photography? A position is available! 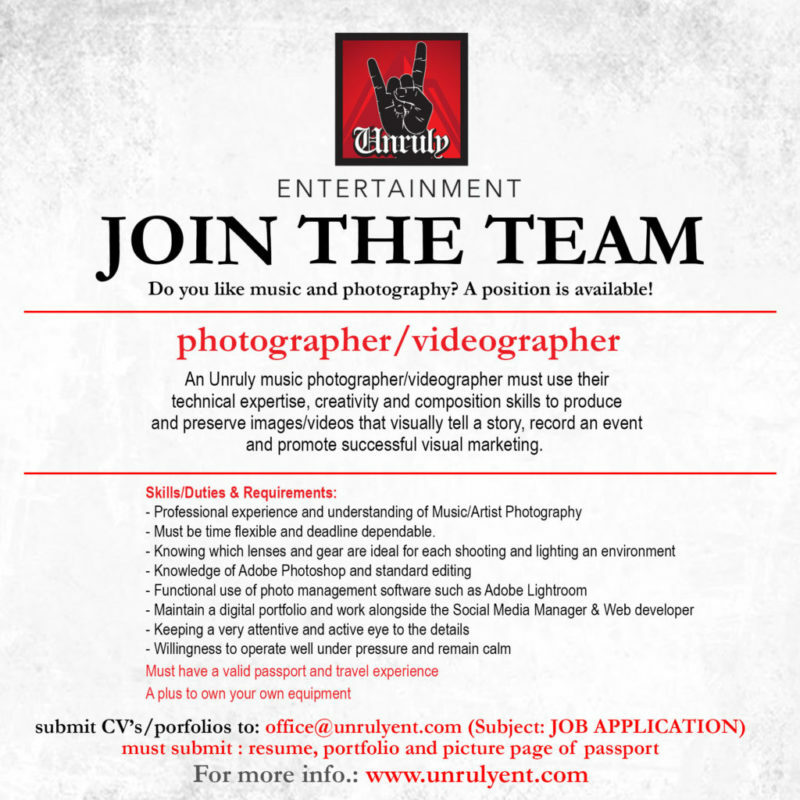 An Unruly music photographer/videographer must use their technical expertise, creativity and composition skills to produce and preserve images/videos that visually tell a story, record an event and promote successful visual marketing. Should be adaptable, as much as their schedule will include many late nights and some uncertainty as to work schedules and travel. But most of all someone who loves music and photography. Will entail shooting at live concerts, performer’s portraits and artist’s promo photos/videos.